INDIGO project is delighted to invite you to the workshop District Energy Systems: A collaborative exchange of results on planning, operation and modelling for energy efficiency. 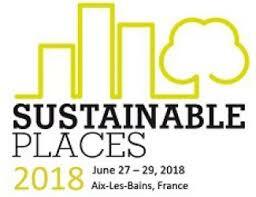 This will be a networking workshop among EU funded projects researching in the area of District Heating and Cooling, placed within the Conference Sustainable Places 2018. You can read the programme here.